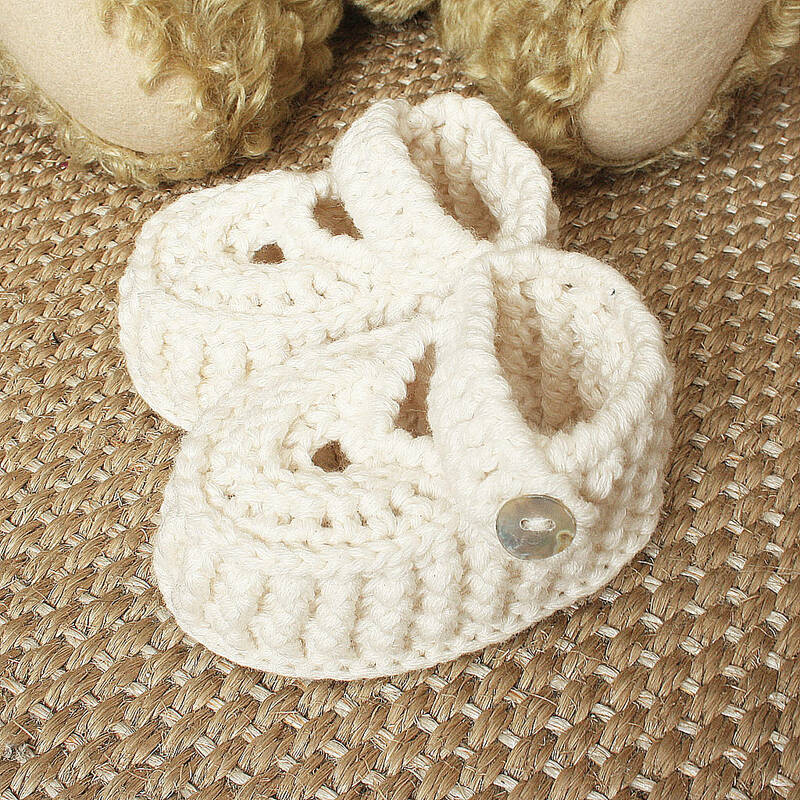 Our Gorgeous Hand Knitted Merino Wool Slipper Shoes are Snug and Warm for Babies Feet. 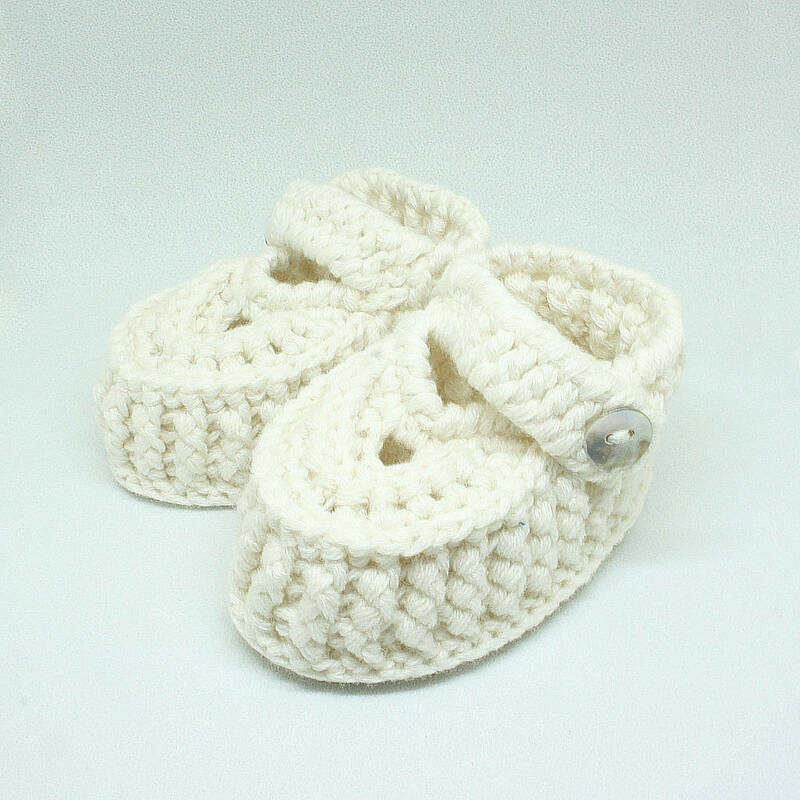 Our Handknitted Baby Slipper Shoes are perfect and soft for a baby Boy or Girl or to present to an expecting couple, at a baby shower or as a thoughtful Christening present. 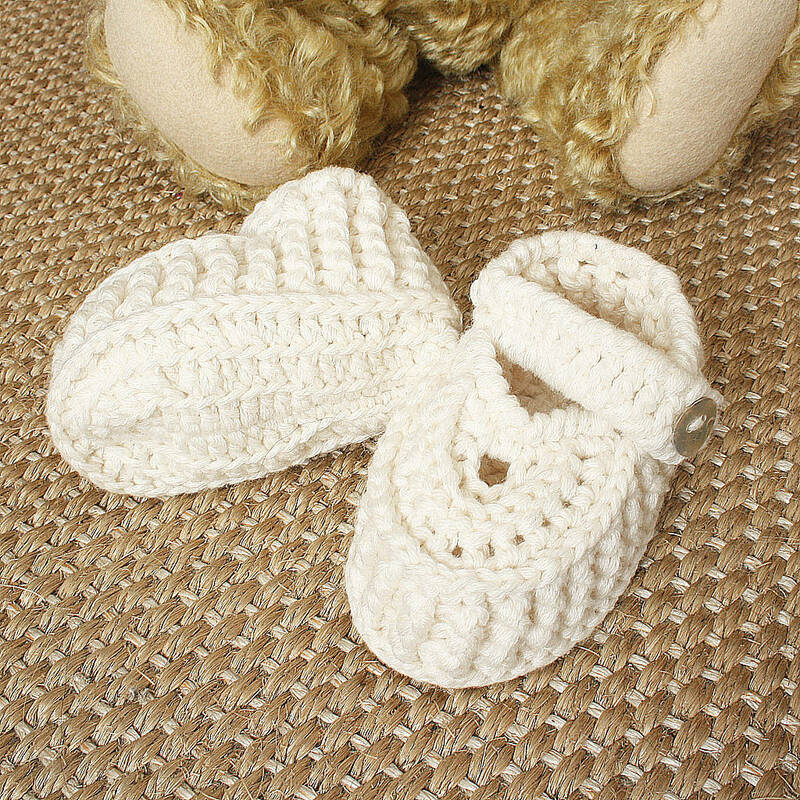 Our Handknitted Slipper Shoes are Hand knitted from soft light cream merino wool and available in 4 sizes, 0-3M, 3-6M, 6-9M, 9-12M. Please see sizes in CMs below. Each Slipper has a cross strap secured with a natural shell button and soft hand knitted soles. Your Baby Slippers will be sent in tissue paper in a recycled card box. 100% merino wool with natural shell button. This product is dispatched to you by The Gorgeous Company.